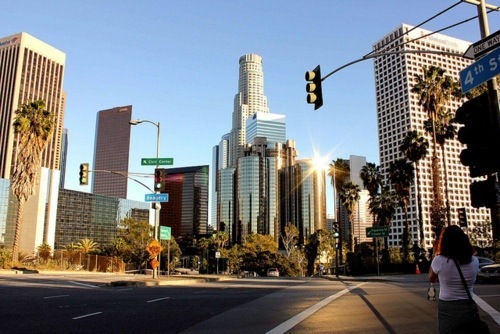 ﻿ Ann-Helen Gamlesanne » Los Angeles! Right now, I’m blogging from my hotelbed. The clock is only 07 am, but I’m wide awake. Think The reason is a mixup of excitement and jet-lag. We came to Los Angeles 02:20 pm yesterday, which is 23:20 Norwegian time. We where prepared to stand in line for a couple of hours, but from the plane landed till we sat in a Taxi it took an hour. We were very lucky, because when we left the airport, it was a bomb threats at LAX, so some of the people we are here with had to stay at the airport for extra two hours. the hotel we stay at, really nice! One Response to Los Angeles!